The construction of Patarei Sea Fortress, including Patarei Prison began under the orders of Nicholas I of Russia in the early nineteenth century. It was finished in 1840. Originally it was built to be an artillery battery, but as years passed, its functions changed as well: from 1864 − barracks, from 1920 − a prison and from 2007 − a museum. The former prison is located in the Kalamaja district and is now one of the most vivid places in the world that can demonstrate the Soviet-era prison-life from all its aspects. In the 21th century this unique 19th century architecture building, that for a long time has been a symbol of repressions, has now become the favorite place of all the locals and is really popular amongst the tourists who come to visit Tallinn. Patarei Prison finished operating in the early 2000’s and has been left practically untouched since then. Today visitors can explore every inch of the former prison. They can go inside the cells, work areas, and exercise yards. Since the prison has been left untouched, you can still find some books and magazines the prisoners used to read, or even used cotton swabs in the operating room. Also, tourists are allowed to climb up to where guards were once stationed and will be able to look down into the tiny cells. 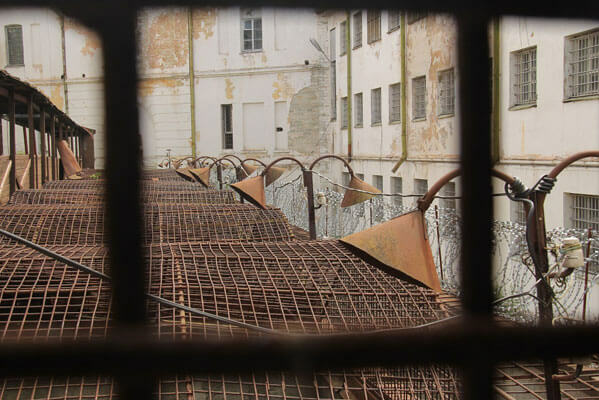 A few parts of Patarei Prison, where tubercular prisoners were held, are still closed. You can either go there with a group or on your own. However, if you decide to go alone, be ready for some thrill, since most of the rooms are quite dark, damp, and really spooky. You will experience a whole mix of emotions while visiting this amazing place.